LGR has continued its sponsorship of- and participation in the annual Metro Classic Golf Tournament, in support of the Atlanta Area Council of the Boy Scouts of America. This year the tournament was held on May 7 at the Chateau Elan Golf Club in Braselton, with AT&T continuing as the title sponsor of the day for the sixth consecutive year. 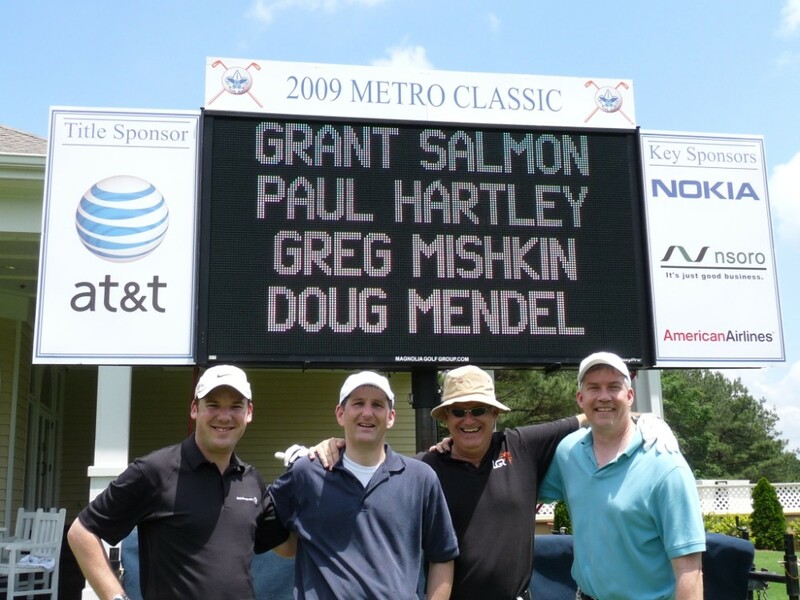 LGR dispatched two ‘crack’ golfers in the form of Grant Salmon (CEO) and Paul Hartley (General Manager), who joined their colleagues Greg Mishkin and Doug Mendel from AT&T Marketing in an epic foursome that had high hopes of pulling off an upset victory. Sadly, despite perfect weather conditions and a pristine course, the team battled to come to terms with their sense of direction and the dense undergrowth, and returned a round that was somewhat short of first place.